Don't see the pre-made website for you here on our site?.....well, did you know that you can also commission us to build you the exact website of your choice completely from scratch - and end up with a website that has been tailor-made for you - that will 'fit you like a glove'. 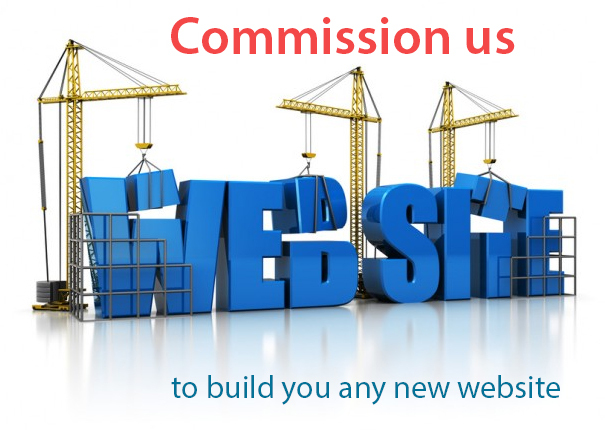 We are ready, willing and able to build ALL types of commercial business websites. And we don't shy away from any website project large or small. Whatever it is that you want your website to be able to do, whatever you are trying to achieve with it, we will find a way to make your vision happen. Get in touch with us TODAY and allow us to make that idea that you have in your head a reality!